I can but apologise in advance to male readers for the amount of pink in this post. 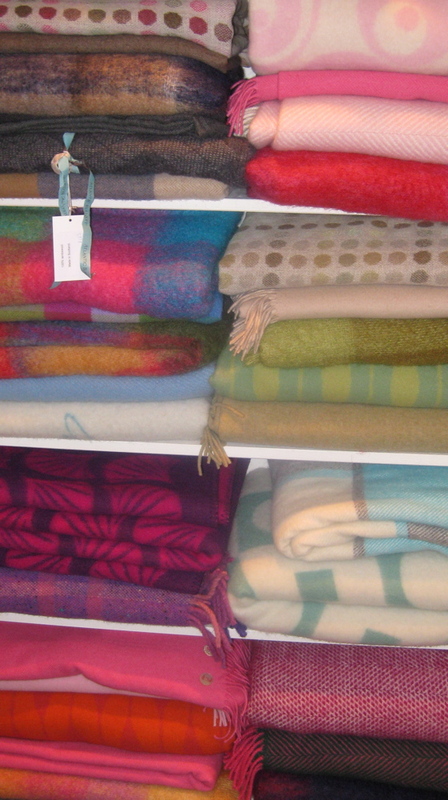 I discovered Atlantic Blanket‘s Padstow shop recently and must have spent about half an hour in there stroking the cashmere throws and merino hand-knitted hot water bottles. 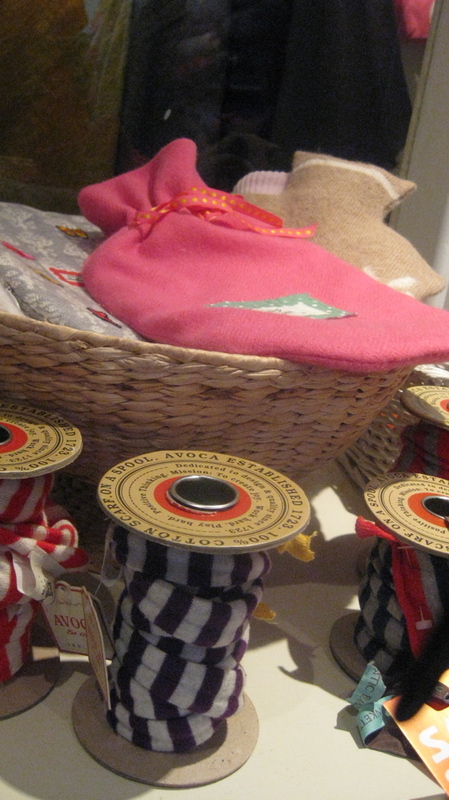 The owners of this newish Cornish company (with an online shop) hand-pick their stock from knitters and weavers far and wide – and collection is clearly amassed with great care. 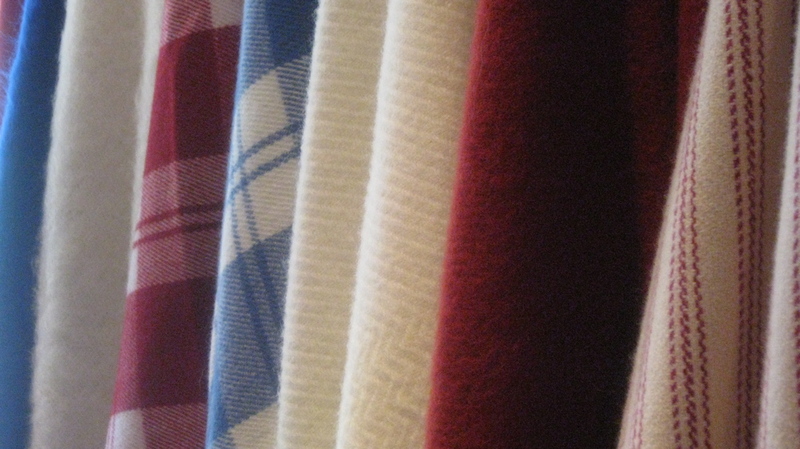 Having become strangely obsessed with llama wool in Argentina (only to get home and have the whole lot decimated in the washing machine EVEN THOUGH IT WAS ON A COLD WOOL CYCLE), I was a bit disappointed not to see any of it on the wool menu at Atlantic Blanket. 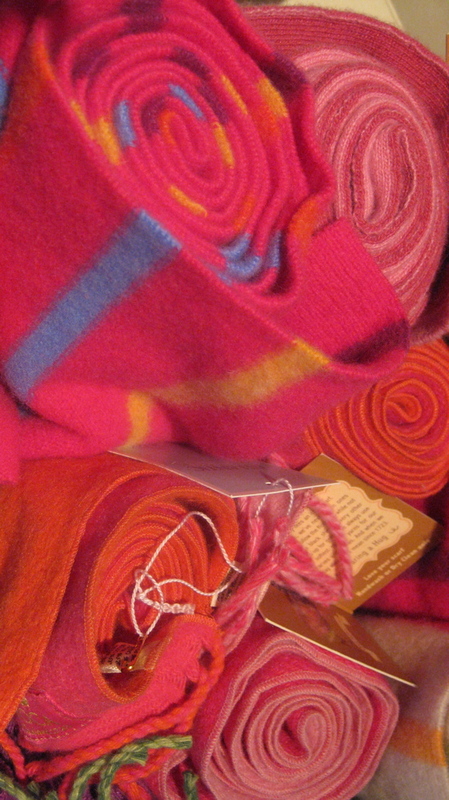 But no matter – there is mohair, alpaca, cashmere, lambswool, merino, as well as more practical fleecy throws for picnics. 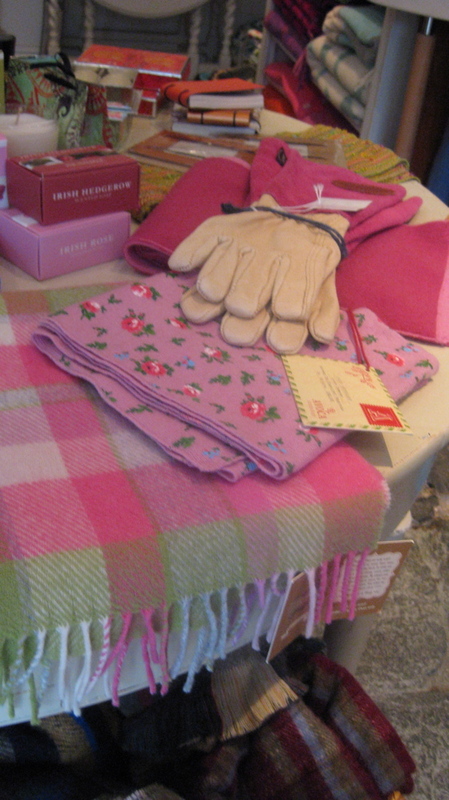 Check this Celtic Fringe blanket from Scotland… £250…sigh.